It’s 3:30 pm, just 1.5 hours until the end of the workday and I have to say, Charlotte and I have been doing pretty darn well! We got up at 8 am, had breakfast, put up some soup in the slow cooker, did a bazillion loads of laundry, made lunch for hubby (he came home to eat with us) and… The kicker… We both napped! Today might just be beginner’s luck, but I’ll take it. Fingers crossed that tomorrow goes just as well. 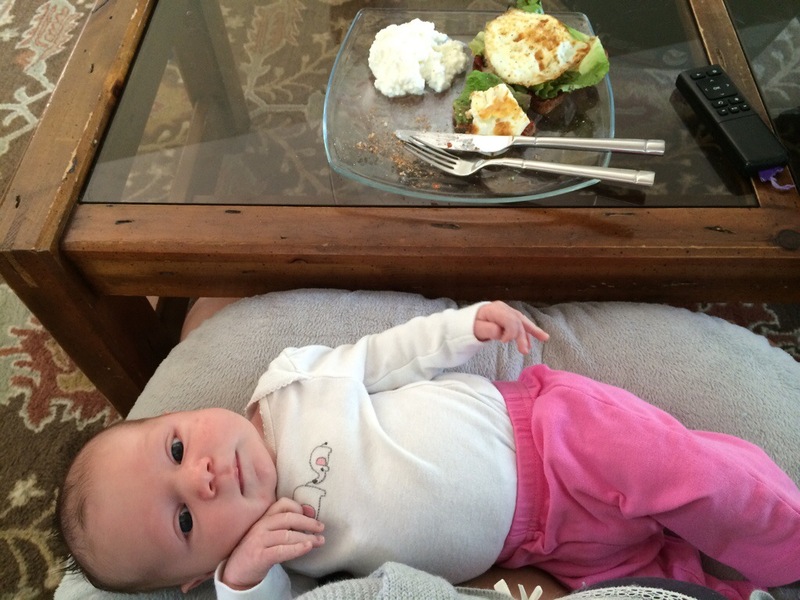 This entry was posted in New Baby and tagged End of Paternity Leave, New Baby, New Mom. Bookmark the permalink. Only some days! 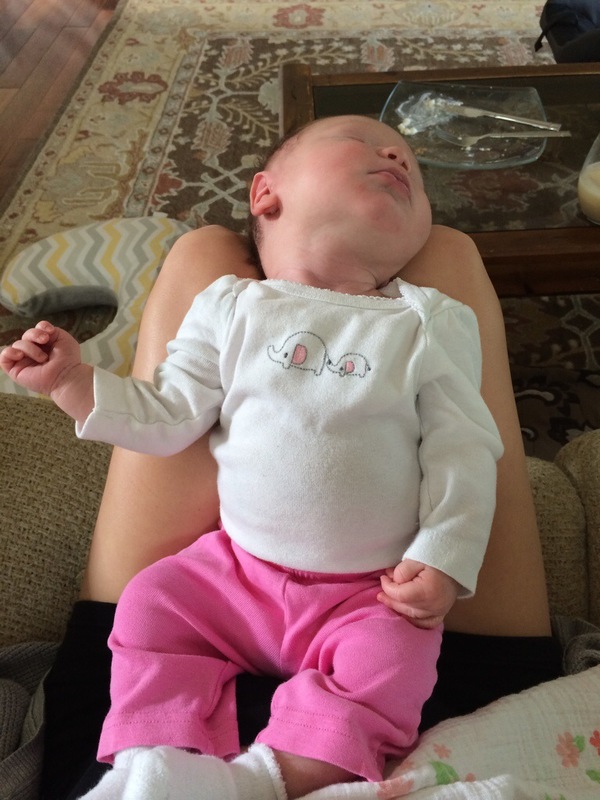 I’ve definitely had my days (like yesterday), where Charlotte and I stayed pretty glued to the couch nursing all day. It took me a full 8 hours to get dinner prepared!